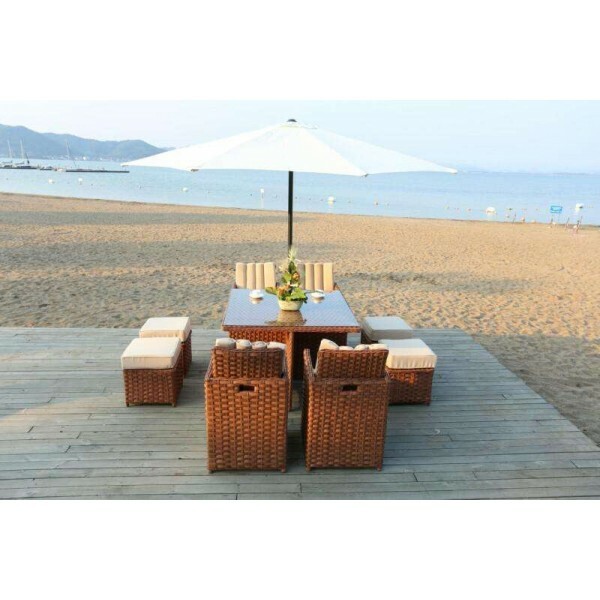 The rattan range collection has been hand-made for highest possible standard and flexible design. 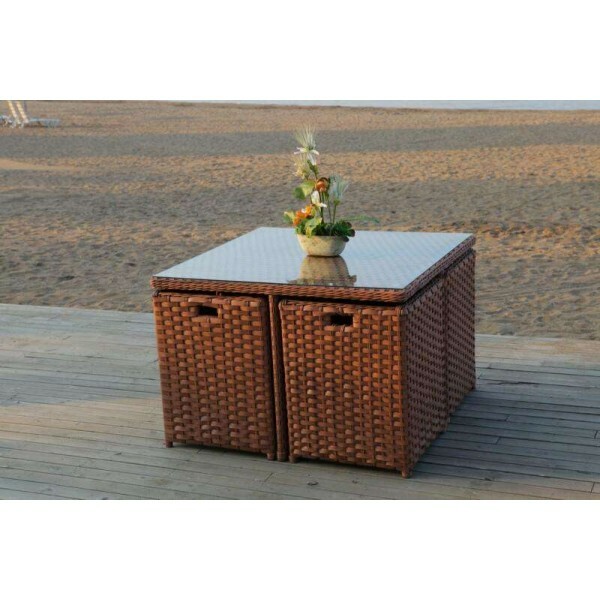 They are all constructed with coated metal framework and aluminium effect feet. SGS approved wicker with 1000 hours sunshine guarantee. 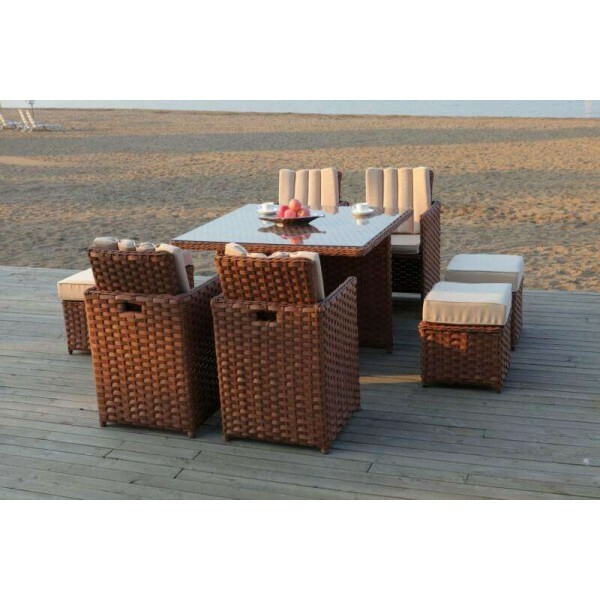 All of our rattan garden furniture range is made of PE rattan and can be left outside all year around.Cushions are water proof and washable(hand washing recommended). All the seat and back cushions are waterproof and washable(Hand-washing recommended). This set comes assembled with 2 boxes.